An Hour & A Half! 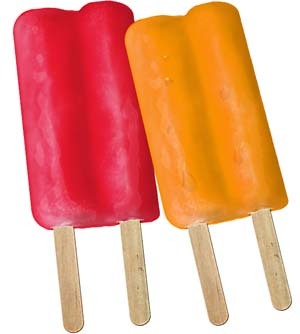 Is the amount of time it takes to hand out 1200 Popsicles to a bunch of sweaty college students. During the heat of the day we got to give people a sweet, frozen treat and an invitation to Campus Crusade for Christ’s weekly meeting. It will be tomorrow night at 8pm in the Capstone Campus Room, for all you locals! Please pray that lives will be transformed by the power of Christ. Are you in Columbia and free anytime between 12:30-2:30 tomorrow? Feel free to join us as we hand out 1200 Popscicles and invitations to Campus Crusade for Christ! Otherwise, please be praying for us as we continue trying to connect with 4,400 new freshmen. We have had a TON of scheduling issues and reservation problems with the University, our air conditioning broke, a huge limb fell on our house (but only put a tiny dent in our carport-PTL! ), my neck has been giving me issues and 2 of our staff girls have been having car issues. We know that the Enemy would LOVE to put roadblocks in our way. Please be praying against these. Thanks for reading and partnering with us in ministry!